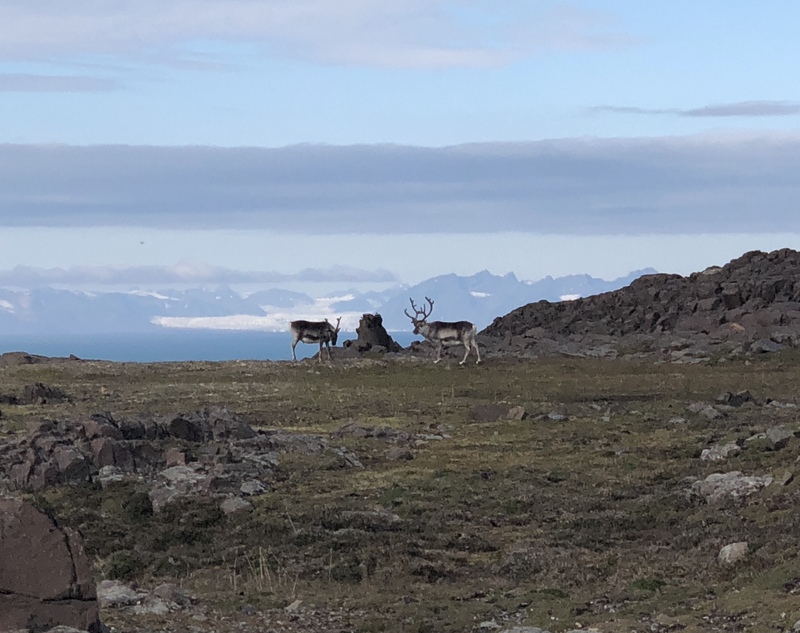 In early August, Cullen Kortyna (JSG PhD, 2020) and I were lucky enough to travel to Svalbard (the archipelago in the Arctic Ocean between 74-81°N) for a week long, intensive course on Arctic tectonics, volcanism, and climate. 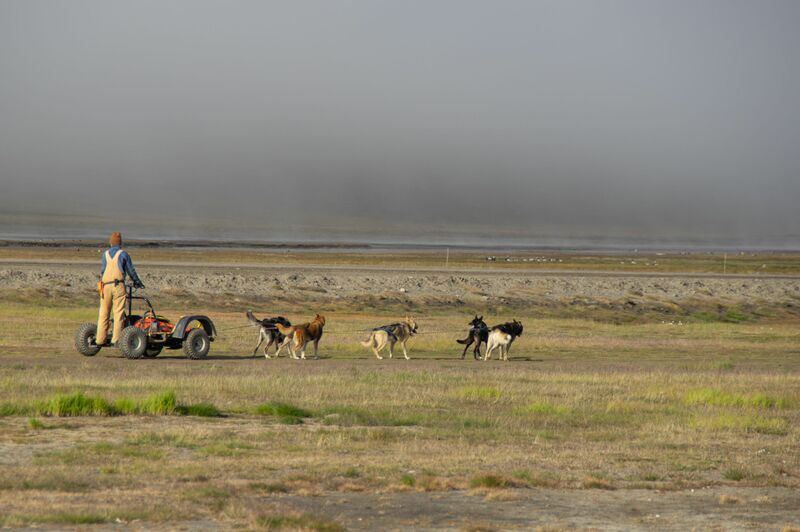 We spent nine days in Longyearbyen (78°N!) with 13 other students and 11 instructors. 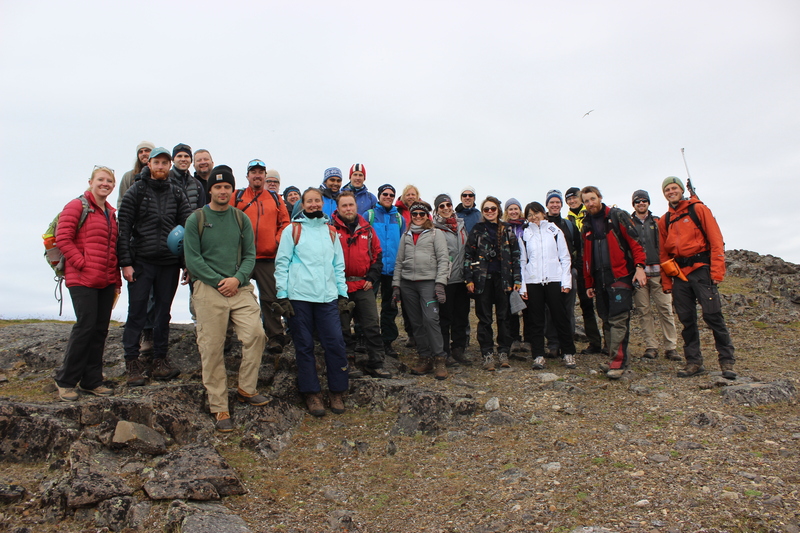 The course was put on by NOR-R-AM, a collaboration between Norway-Russia-North America (https://norramarctic.wordpress.com/) and was held at University Center in Svalbard (UNIS). 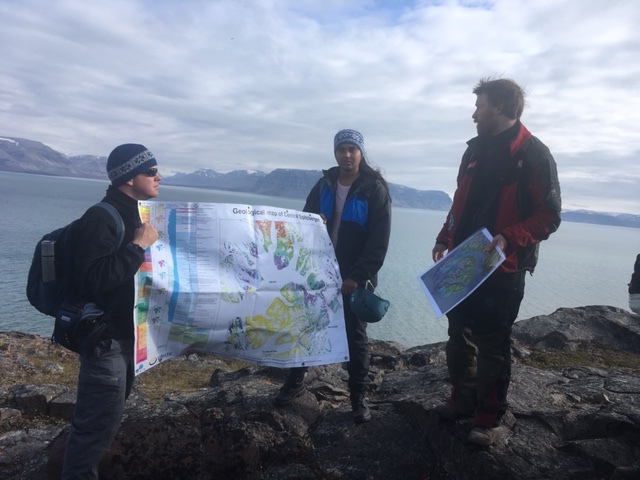 Most the days were spent in the classroom learning about the current state of research in Arctic from the experts in geology, geophysics, climate, and tectonics. 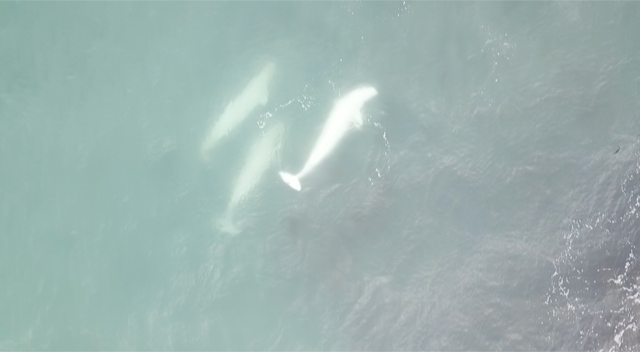 We got to visit a core storage facility that has tons of core from coal mining exploration, jump in the Arctic Ocean in survival suits, be guests at the royal family visit to UNIS, visit the northernmost brewery in the world, and have 8 days of midnight sun. 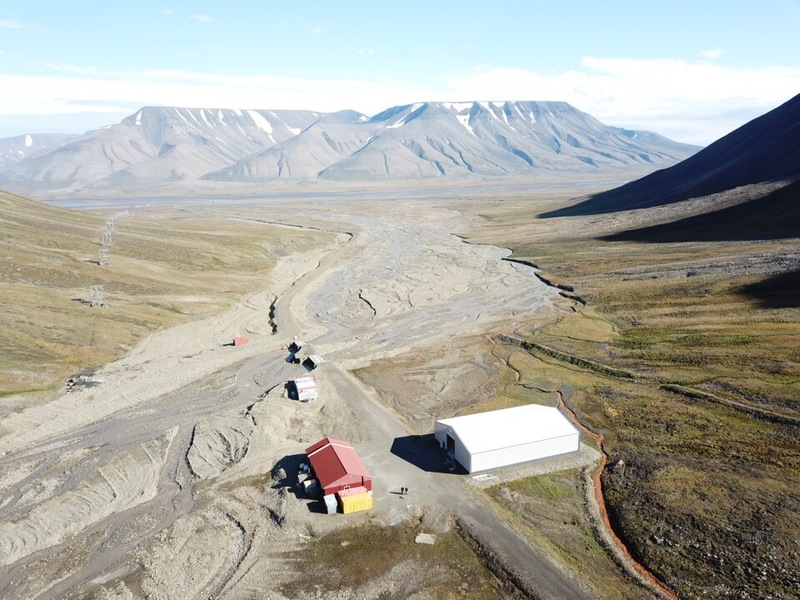 The town of Longyearbyen is “there because of geology”, aka it started as a coal mining town. Today there is still some active coal mining, but now tourists and scientists are the main visitors. Also, you are not allowed to leave the township without a rifle, or a polar bear guard with a rifle. Upper Left : A group of us having just survived the jumping in the Arctic Ocean and rowing in to shore as a team. Upper right: Drone photo of the core storage facility. Bottom Left: Drone photo looking up a river valley. 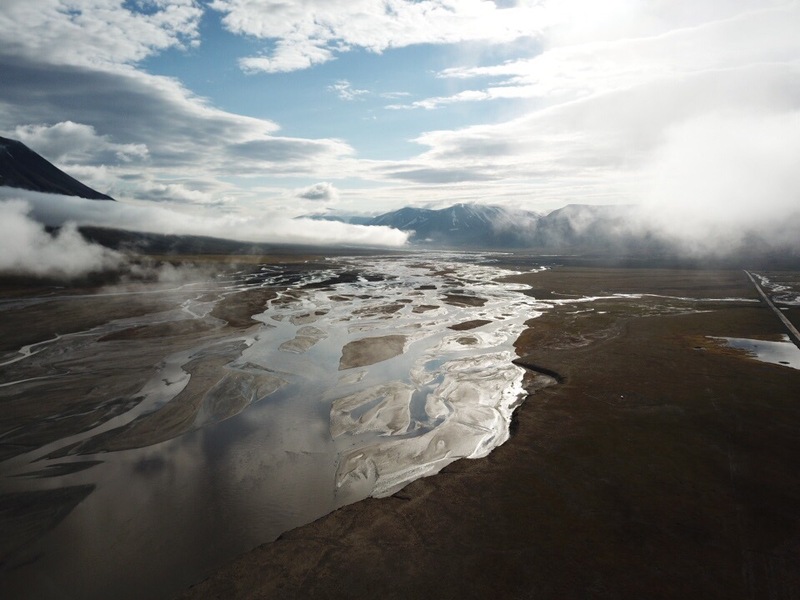 The rivers here are shallow and wide because of the permafrost. Bottom Right: Kim Senger (UNIS) giving a regional geology overview during the field trip. The field trip day was the highlight of the course for me. 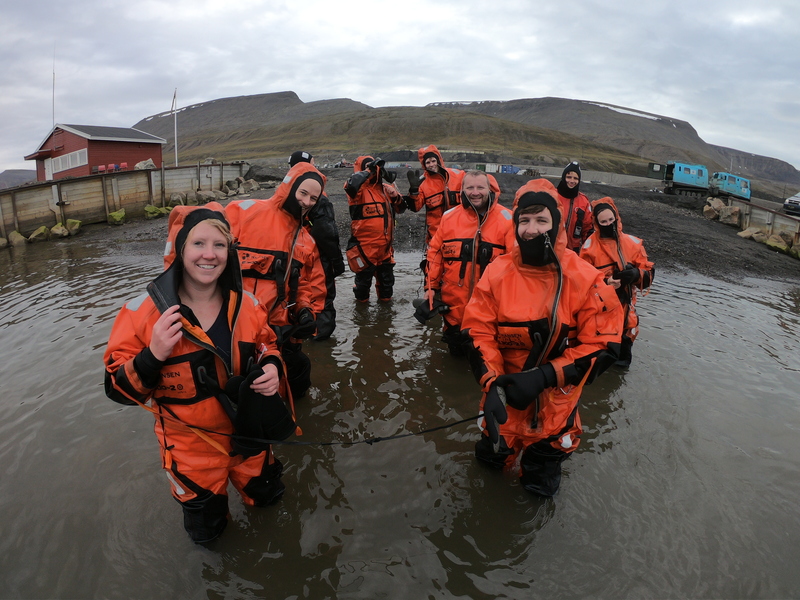 We put on our survival suits, got into three small boats and took a ~45 min long boat ride to Diabosodden. Once on land, the group did a few miles loop, staying together as a group between our polar bear guards, looking at the diabase dike and the sedimentary rocks, learning about the high Arctic-large igneous province (HALIP) and how igneous intrusions affect numerous reservoirs, in this case for CO2 sequestration (http://co2-ccs.unis.no/). 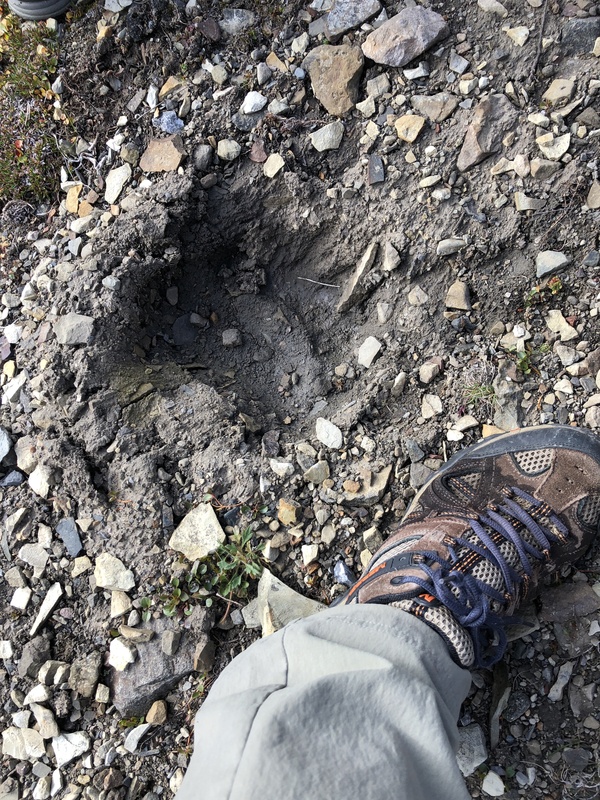 Highlights besides the rocks included: reindeer that have short legs (the corgis of the deer world), beluga whales, polar bear pawprints, and puffins. The most amazing and special part of the course was the international collaboration- there were scientists from Norway, Russia, Canada, United States of America, Czech Republic, and Switzerland. It was a nice reminder that despite all the crazy news stories we see, scientists are still building strong international collaborations and friendships.